Ok, back on track….. Ryan and Marissa have been dating a little over a year and yes yes we all really like him! 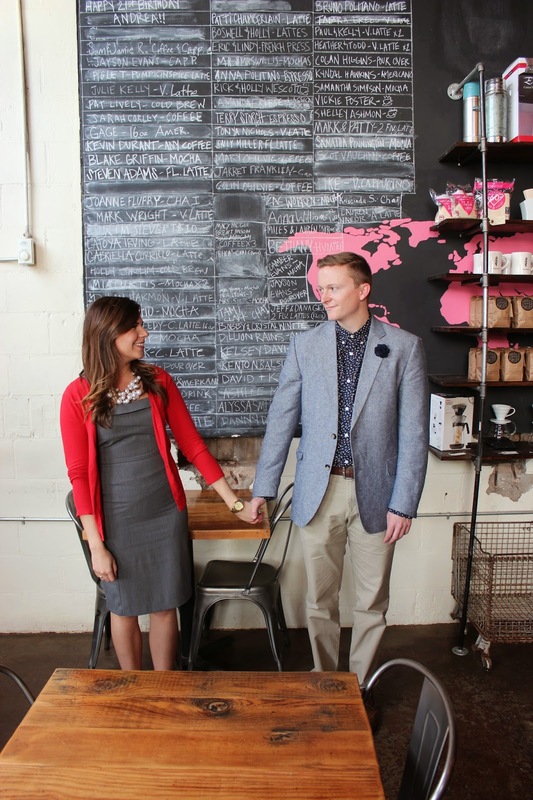 He planned the sweetest proposal and lucky for us at the proposal location he had a photographer! 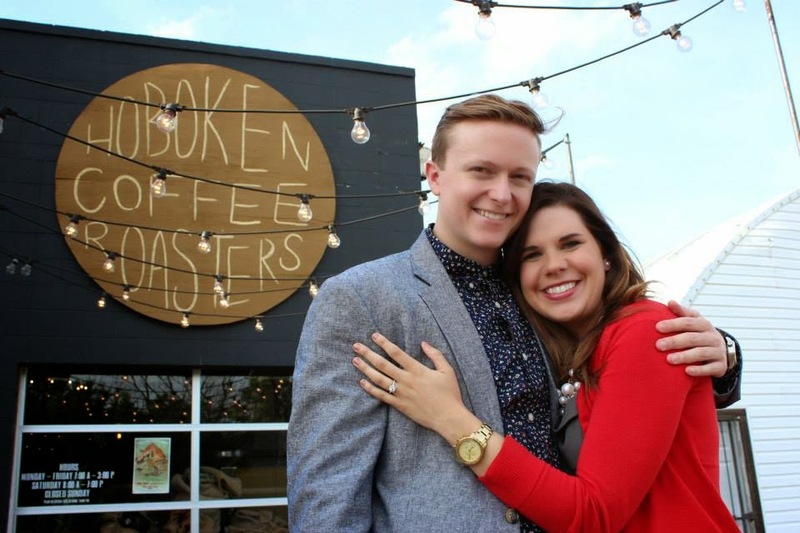 He rented out their favorite coffee shop to pop the question……. Marissa is so cute in her work suit!!! This happened on a Thursday after a work day, their mutual friend was in charge of getting her to the location!! Ryan is such a nice guy he took her change before her “surprise party” and even had nail polish in the car!! Now, I can’t include everyone or every picture…. we all literally took like 700 pictures but this is a great over-view of her party!! Ryan’s family did all the food and his mother went above and beyond, it was incredible! She is the kindest! The surprise party was at Ryan and his roommates house which is in the country and the Oklahoma weather gave us a pass for the night! Cheese…. He did good didn’t he??? 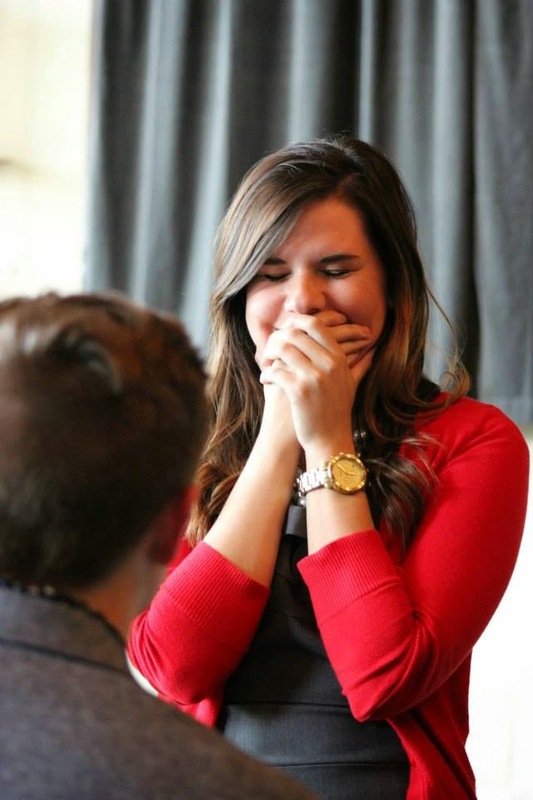 This was exactly what she wanted and this clever guy checked out her wedding Pinterest board for the inspiration! Wanna hear something crazy?? Me the girl who rarely cries and I wasn’t really very emotional about this party but for some reason when I hugged Marissa tears just flew out of my eyes! It surprised me…. but that is true love huh? AAHhhhhh my BABY sister is engaged?!?!?! Crazy! When you have 11 years in between you and a sibling the love comes in a motherly, friend and sibling form! We are missing my brother and Jordan but here is Marissa’s family and her new family, I love this picture!! My Oma, Aunt and cousin are somewhere but the night was so overwhelming it was easy to miss certain pictures!! All of Marissa’s friends where there and in fact several of her friends “Face-Timed” in!! Sarah on the phone is currently in Russia!! How fun huh?? Hi Sarah… blog shout out! 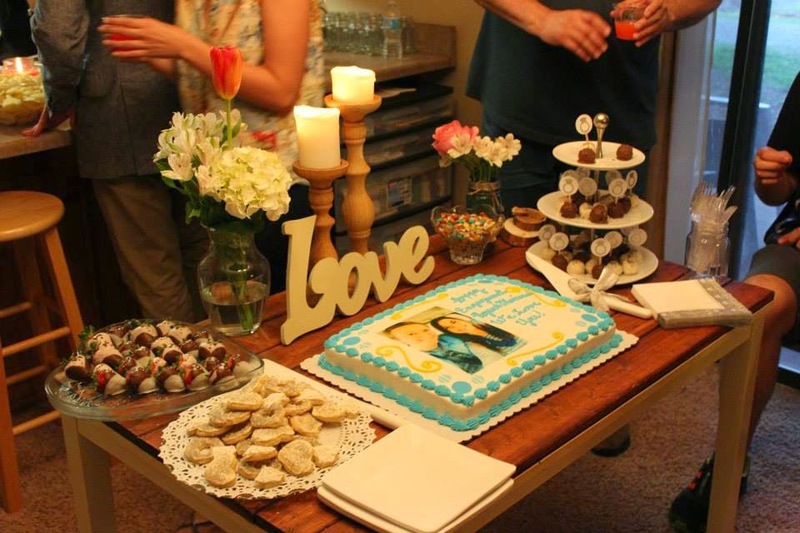 We are all so happy for the Bride-to-be and I was so glad I got to be apart of this night! Ryan pulled me aside that night and said that when they drove up the first thing Marissa said was ” Oh wow Nicole is here” and that made everything worth while! Congrats to Marissa and Ryan!!!!!!! Previous Post Home Inspection; Check! 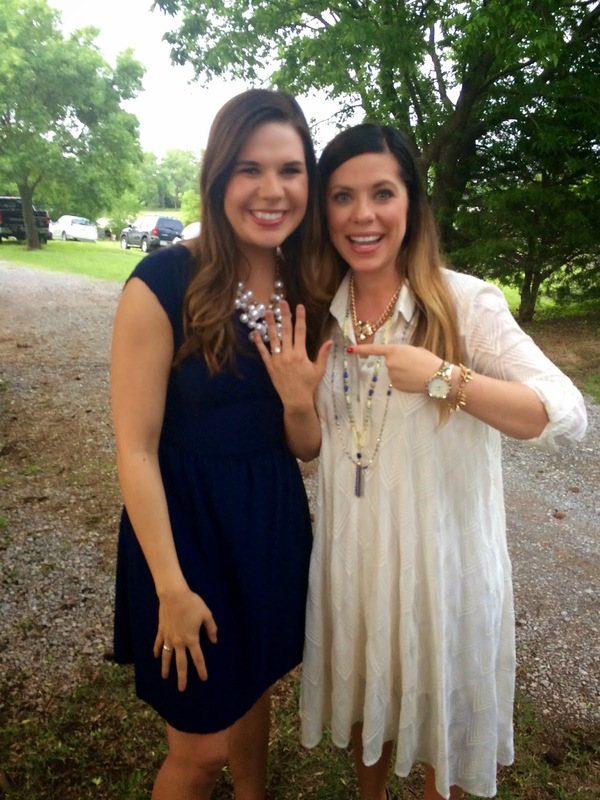 So excited for her, and that you got to be there for her special moment! That is clever that he went to her Pinterest board. I just watched the video, what a neat idea and a definite melt moment. He is a keeper for sure!